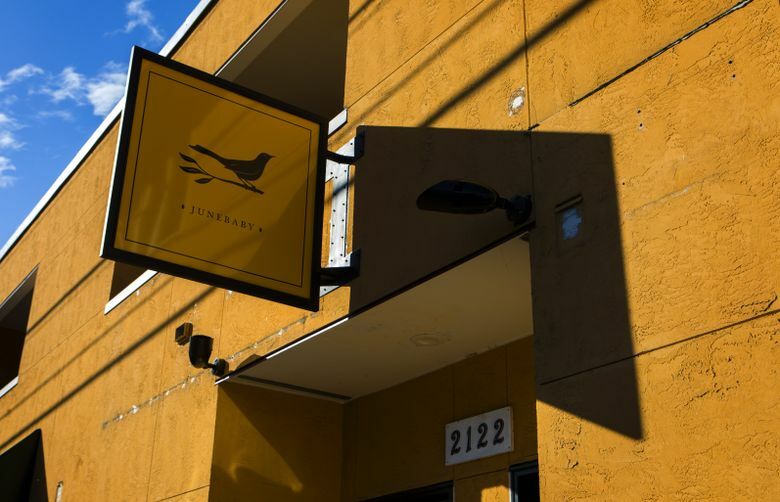 With the very real possibility of a James Beard Award — or two — coming his way Monday, the Seattle chef shares his outlook. Hunger is not an abstraction for Edouardo Jordan. Right now, the chef/owner of Seattle’s Salare and JuneBaby is looking good, having accumulated a pile of recent accolades — from Food & Wine, GQ, Eater, The New York Times. At a black-tie gala in Chicago on Monday, May 7, he’ll find out whether a James Beard Award will be added to the heap. 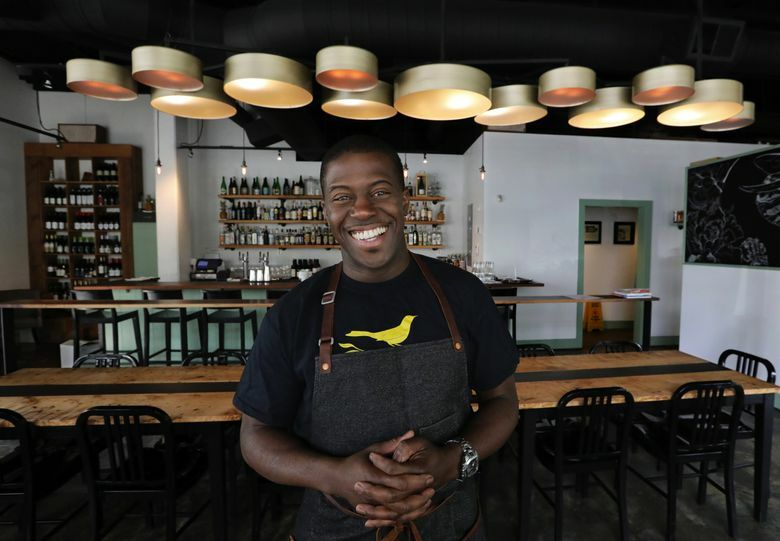 Or maybe two: He’s a finalist for Best Chef Northwest, and JuneBaby is up for Best New Restaurant in the United States. But when he was a kid in St. Petersburg, Florida, his family lost its home and had to depend on help to bounce back. Jordan can’t remember exactly how old he was — “It’s a blur,” he says — but it is something he has not forgotten, from his start as a server at a Bennigan’s, through culinary school, through training in the country’s highest echelons of dining such as The French Laundry. 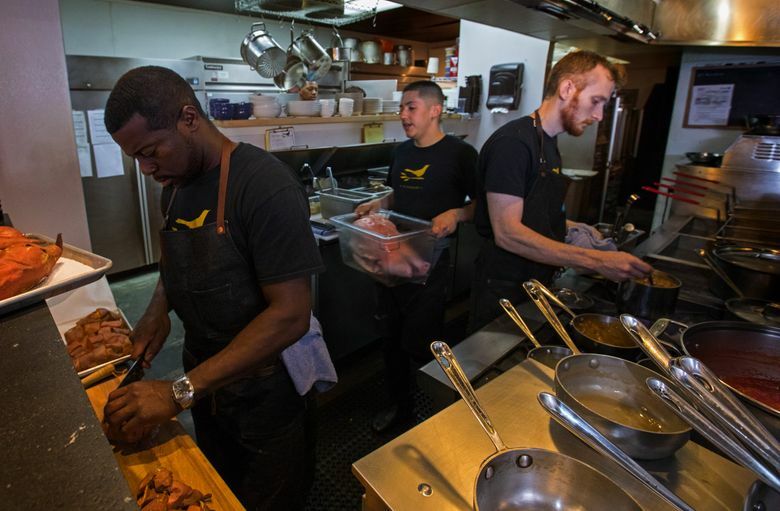 Now he gives his time, his teaching, his food and more to nonprofits such as Northwest Harvest, seeking to end hunger hereabouts, and FareStart, helping train local people who are homeless or disadvantaged to work in restaurants. For the record, no, he’s not thinking about opening another restaurant — he’s plenty busy as it is. His “life goal” is to start his own nonprofit centering on food and health for kids. On JuneBaby’s anniversary — with the possibility of both the restaurant and he himself receiving the restaurant industry’s biggest honor just days away — Jordan talked about it all.